Hey you – are you reading this? I know you’re there… stop looking at Mr. Snuggles the cat and read my blog post, please! There’s a reason why cats in all their furry glory dominate the internet – We’re fascinated by them. The slyness, the cuteness, the orneriness. They make us look, and looking leads to reading, which is why, as marketers, we love using images in our marketing strategies, such as email, blog posts and social media networks. Using photos from an event, an office celebration, or even of Snowball, the winery dog, is a great way to grab the attention of your followers and evoke emotion. People trust brands they feel an emotional connection toward, and what better way to do that than by sharing images? 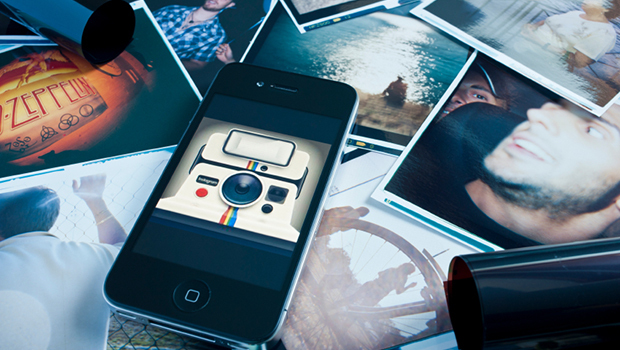 According to Mashable, images shared on Facebook get up to 20 times more engagement than other types of posts. And there’s an even better bonus for your business when people like what they see – they share it! Sharing images by re-posting, re-tweeting or re-pinning is GREAT for your business. The more people that see your message, the better! Where and when to use images? Images relating to your business are ideal for sharing on social media networks like Pinterest, Twitter and Facebook. What you post is really up to you, and what you feel comfortable sharing. If you sell coffee, it may be an image of a delicious cappuccino. If you’re a bowling alley, maybe it’s a photo of your tournament winners. At VerticalResponse, we love sharing photos of our events and our contest winners. When you have a sale or special offer, use an image to bring more attention to it and encourage your social media followers to share it. You can even create a coupon image that lets people know they’re getting a deal. Here is an example from a VR customer, Belmont Iceland. Where to get great images? Sometimes you need something more artistic or specific (or you just don’t have time to go out and take them!). We often purchase images from iStockphoto for use in our blog, and ShutterStock, which has over 20 million photos and vector files to choose from for a fee based on photo size. Just as you want your images to be shared, you can share the work of others! Share humorous images you find on sites like Pinterest. Re-pin pictures from an art gallery in your community, or share an offer from a company you partner with. Join in on the engagement! It’s easy to do and can create a positive effect. 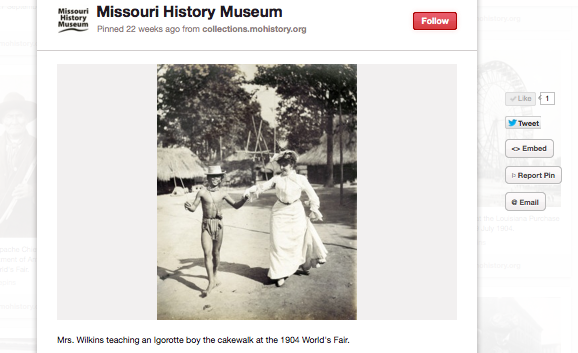 Below is a rare photo from the 1904 World’s Fair posted by the Missouri History Museum. What a neat thing to share – especially if your business is in St. Louis, MO, and you want to connect with others in the community. Images are not always perfect from the get-go. For example, when you have a special message to share, or an offer, you may want to add text to your image. Or you may have too much white space around a group shot that needs cropping. The good news is, you don’t have to be a Photoshop wiz to customize your photos for email and social. In fact, you don’t even need Photoshop! Gimp 2.8 – Gimp can be used for basic photo editing as well as advanced editing. Adobe PhotoShop Express for iPhone – Super for editing your pictures on the go. Pixlr – A user-friendly tool that’s available online and mobile with “Pixlr Express” (it’s also available in your VerticalResponse account). Now you’re ready to start implementing images into your marketing strategies! Who knows, they could just be the cat’s meow.